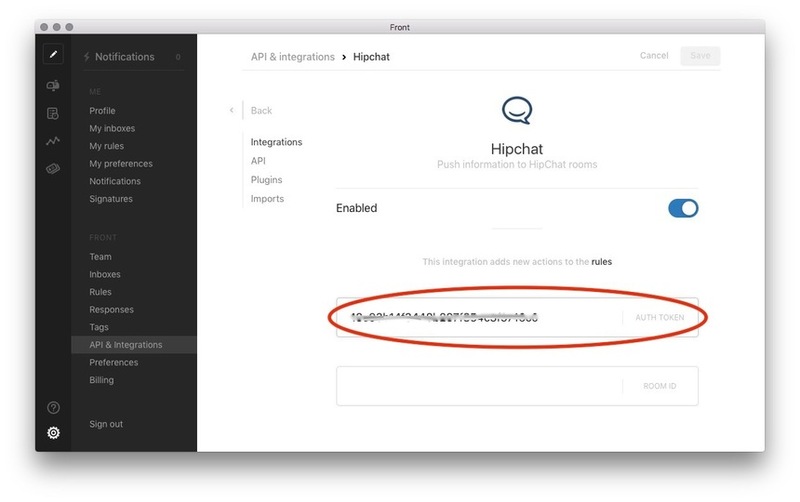 Like other integrations, you need to be an admin in order to enable the HipChat integration. 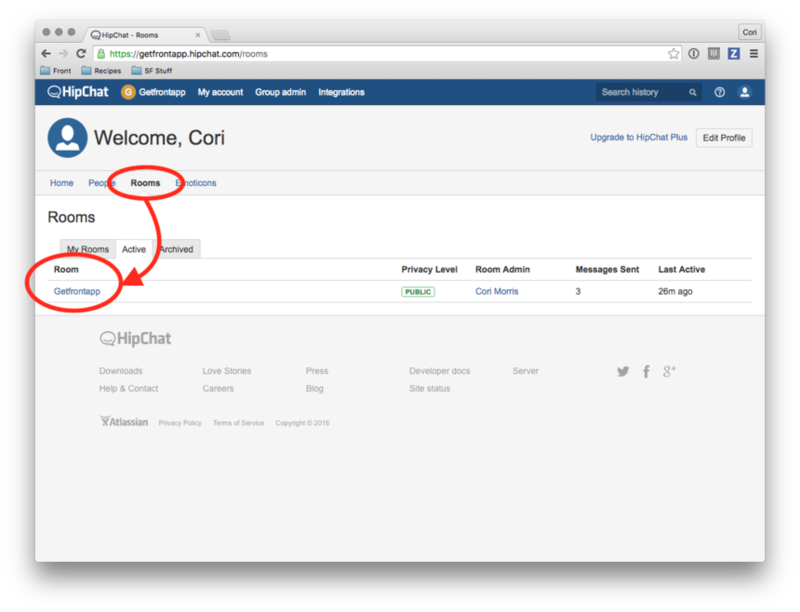 The HipChat integration allows you to define rules that automatically post Front messages as notifications to HipChat Rooms. Go into your Settings and select Integrations. Scroll down the list and click on HipChat. Turn the toggle on to enable HipChat. Now, let's find your Auth Token and Room ID. 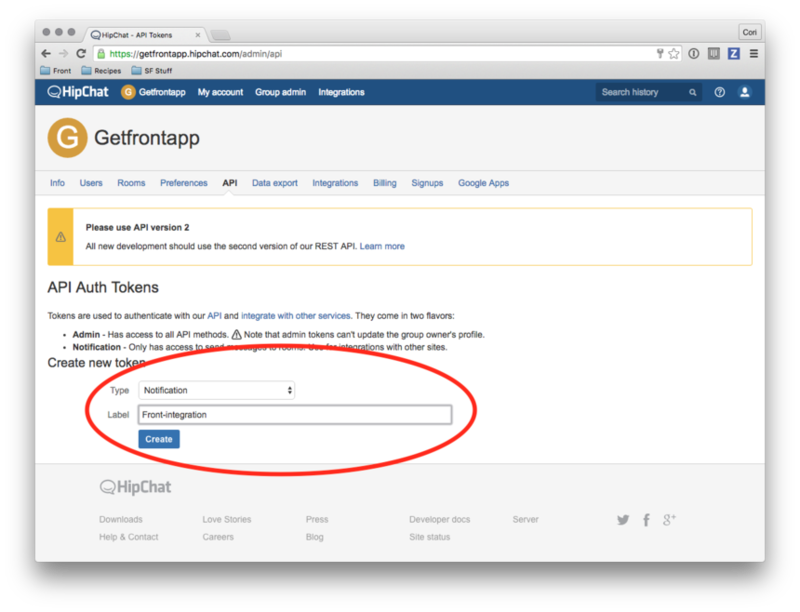 In order to find your Auth Token, you need admin access in HipChat. 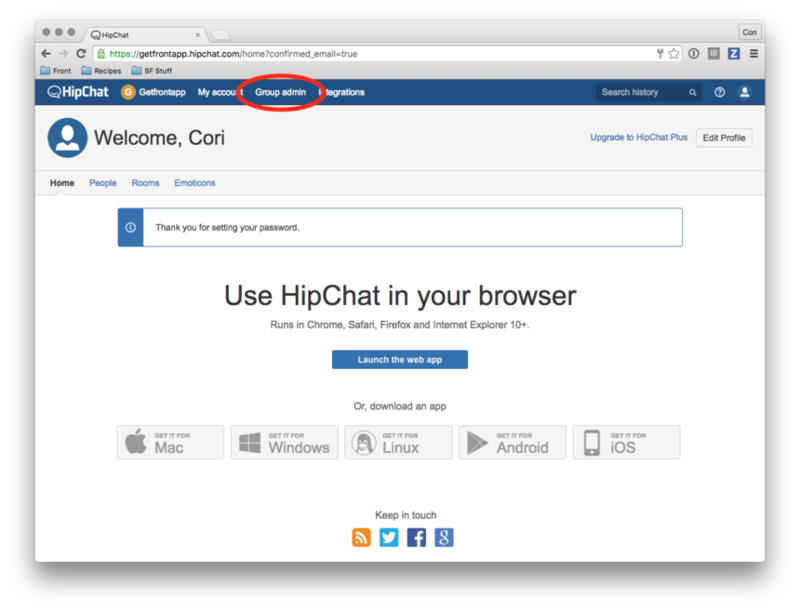 Go to the HipChat website, and log in. Click Group admin. You will only see this tab if you are logged in as a HipChat admin. Create a new token for Front. Use the dropdown to select Notification type. Give it any label you wish, but we suggest something like Front-integration. Then click Create. Your token is now created. Copy and paste it into the Front HipChat settings. 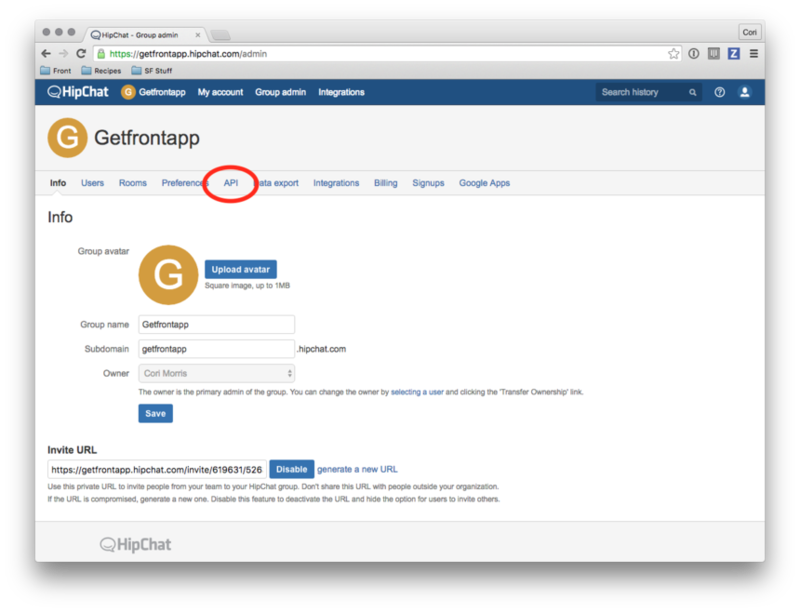 Now we need to retrieve the Room API ID for your default HipChat Room where Front messages will be sent. You will be able to specify different Rooms for messages to be sent to with Front rules, but this Room will serve as the default. 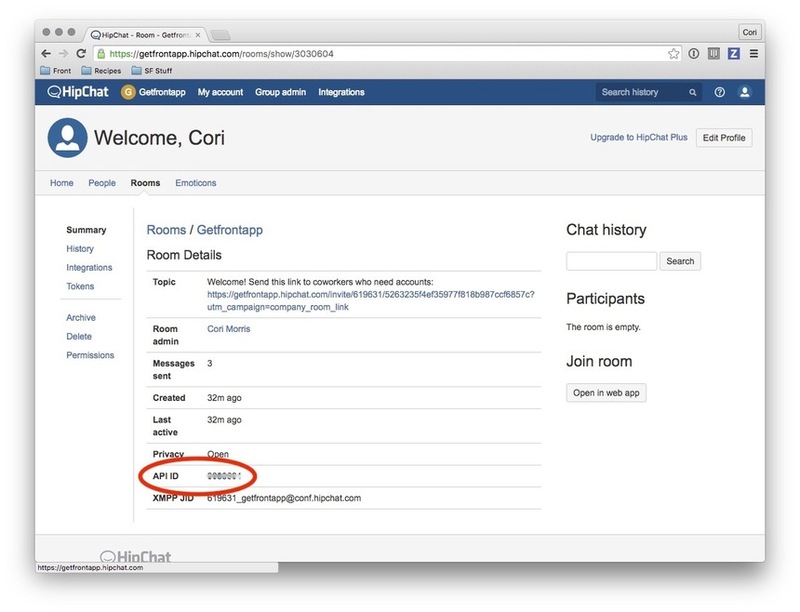 Going back to the HipChat homepage, select Rooms. In the Room list, click the Room you would like Front to post. 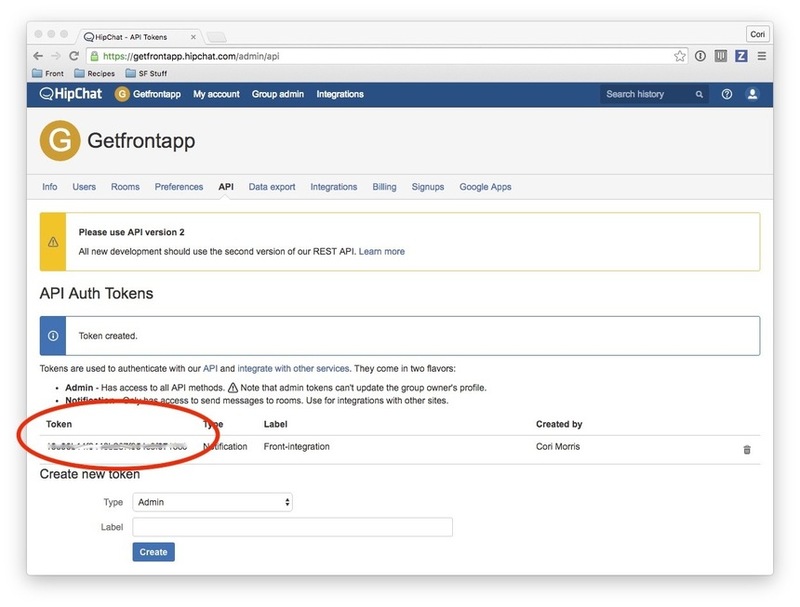 Copy and paste the Room API ID in the Room ID field in Front. 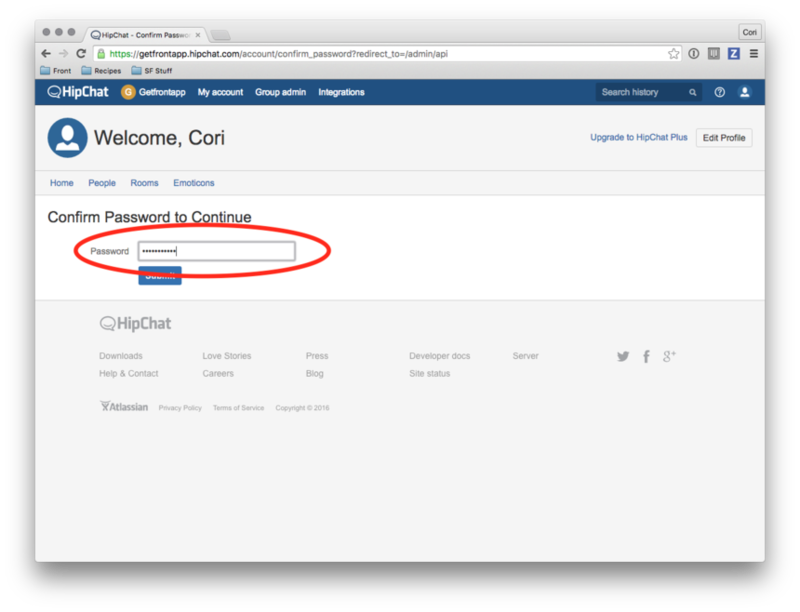 Click Save to finish enabling the HipChat integration. Now, go into your Settings, select Rules, and Add a team rule. 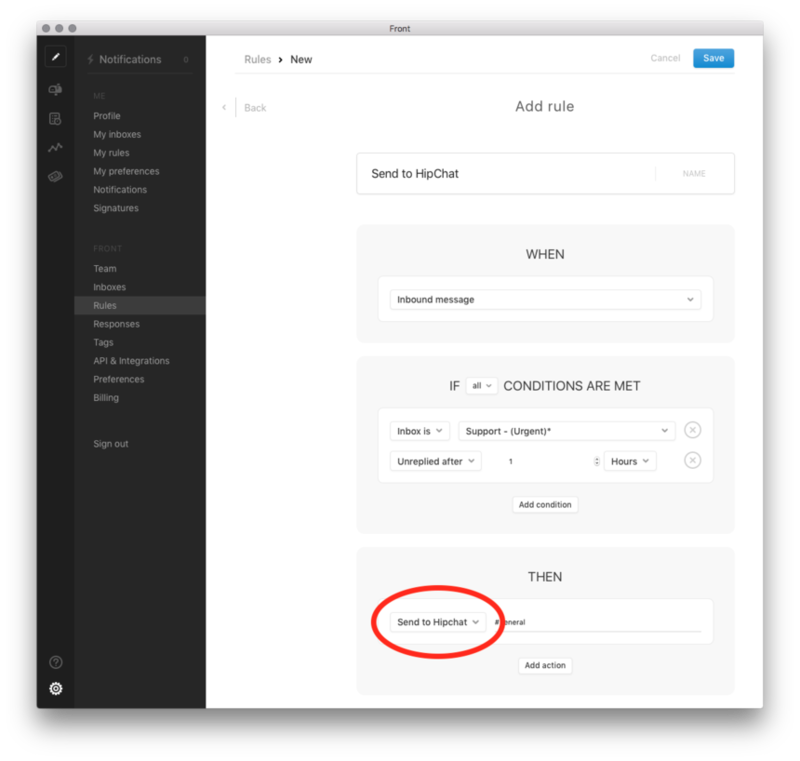 Set up your conditions (more information can be found in the Understanding rules article), and choose the action Send to HipChat (listed in the Then section). 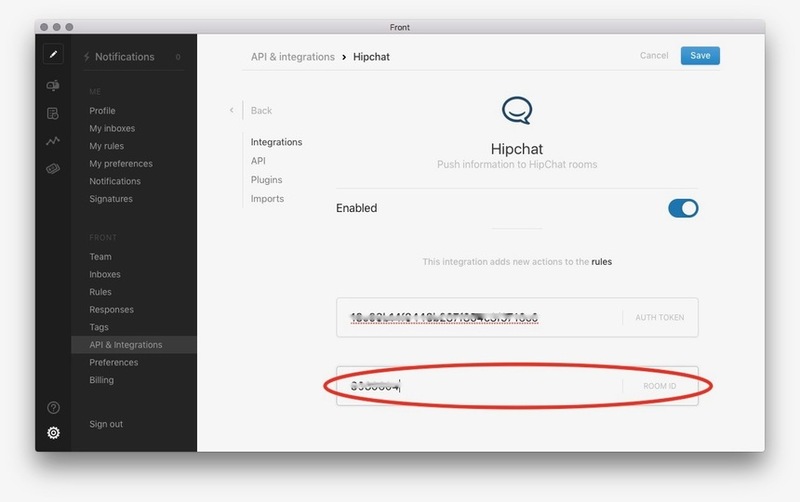 You will be able to send a notification to a specific HipChat Room.